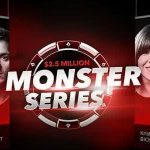 Party Poker´s ambitious $10 million KO Series got off to a shaky start yesterday, with seventeen of the opening day tournaments failing to hit their guarantees. November could be an expensive month for Party Poker. 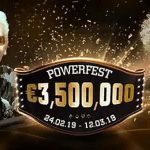 The site has already had to put its hand in its pocket for more than a million dollars to cover guarantees at the Caribbean Poker Party, is giving away tens of thousands of dollars every day in MILLIONS Online tickets, and didn´t enjoy the best of starts yesterday to its ambitious $10 million guaranteed KO Series. Of twenty-eight events in yesterday´s schedule, seventeen failed to meet their guarantees – costing Party Poker more than $275,000 in overlays. What may be of most concern to the site is that the overlays were spread across all buy-in levels, and mostly occurred in events that started during what is considered to be the peak time of day between 6:00pm and 8:00pm (all times GMT). 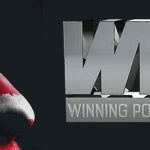 With twenty-eight KO Series events scheduled every day for the next seven days – and the most valuable of these taking place in the 6:00pm to 8:00pm “window” – the total cost to Party Poker could well exceed another million dollars. This is not a good omen ahead of the $20 million guaranteed MILLIONS Online event that gets underway this coming Sunday 25th November. Why So Many Overlays at the Start of the Series? There are several possible reasons why the opening day of Party Poker´s KO Series failed to meet expectations. Many players would have been returning from the Caribbean Poker Party and unable to play while in transit, and there has also been some issues with players not receiving tickets for completing KO Series missions (this has now been resolved). It could also be the case that the guarantees are too ambitious, that players aren´t as keen on Progressive Knockout tournaments as Party Poker thinks they are, or that the late registration periods put players off registering for another tournament when they have finished playing in an earlier one (in some cases late registration periods exceed three hours). It´s difficult to know. 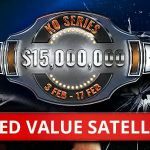 There were plenty of non-KO events played at Party Poker yesterday that also failed to reach their guarantees, plus some excellent value available in satellites offering a guaranteed number of tickets to more valuable events. In some feeder events, more than 60% of players qualified to the next stage. Maybe Party Poker is simply offering too many opportunities. The MILLIONS Online event is Party Poker´s most ambitious project yet. The $20 million guaranteed tournament gets underway next Sunday with the first of five flights spaced out over ten days. Each flight will last for twenty levels of 24 minutes each, with players who survive carrying their chip stacks forward to Day 2 on Tuesday 4th December. The event concludes the following day. The event has a buy-in of $5,300 and therefore needs 3,774 players to enter in order to break even. To date, 624 players have qualified for the opening flights – a potential shortfall of more than $16.5 million. To address this problem, Party Poker is giving away tens of thousands of dollars every day by adding tickets to MILLIONS Online satellites, sub-satellites, and feeder satellites. The added tickets start at “Centroll” level, go up all the way to the weekly phased tournaments (with $53,000 in tickets added to each), and represent value at every step of the way. For example, in one $1.10 buy-in “Micro Feeder” satellite yesterday, 356 of 863 players won MILLIONS Online satellite tickets with a value of $5.50. That´s $1,958 worth of prizes for $949 worth of buy-ins. Will You Take Advantage of the Value at Party Poker? It doesn´t seem to matter whether you play in Party Poker´s regular tournaments, in the site´s KO Series events, or the MILLIONS Online qualifiers, there is value everywhere you look. Plus, now that the issues with the KO Series promotions have been sorted out, there are multiple ways to fast-track into the more valuable events being played this week at the site. If you would like to take advantage of the wealth opportunities and the incredible value, head over to Party Poker today; and, if you do not yet have an account with the site, remember to use the Party Poker bonus code “PNREPORT” when funding your account to be eligible for a 100% bonus on your first deposit up to $500/€325/£250.